As the child of a native Japanese woman and an Irish American father, a salient feature of my life has been this ethnic heritage and the circumstances into which I was born in post-World War II Tokyo. My life, between Japan and the United States, has been marked heavily by my connections to these diverse roots. I have found meaning in my life through learning to accept and appreciate these roots, to balance their influences and blend them into a synergistic whole. While others may see me as "half," I know that I am whole. This whole me is greater than the sum of its parts and connects me to something beyond my self, to communities of others and to a collective self. Stephen Murphy-Shigematsu, When Half Is Whole: Multiethnic Asian American Identities, (Palo Alto: Stanford University Press, 2012), 2. 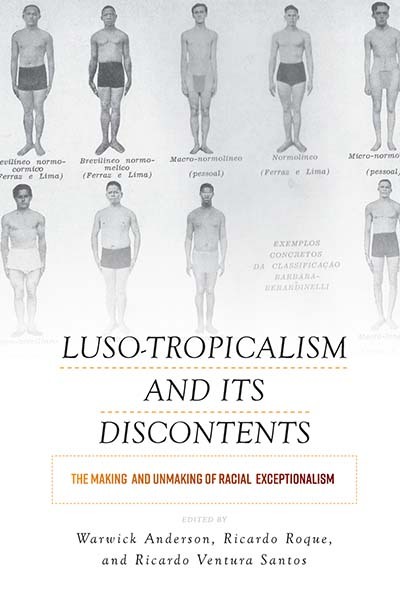 This entry was posted	on Thursday, March 28th, 2019 at 17:52Z	and is filed under Africa, Anthologies, Anthropology, Asian Diaspora, Books, Brazil, Caribbean/Latin America, Europe, Forthcoming Media, History, Social Science. You can follow any responses to this entry through the RSS 2.0 feed. Both comments and pings are currently closed.